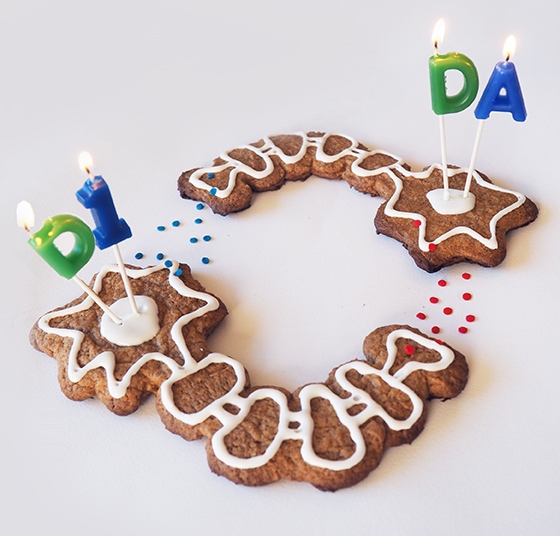 Cookies, a rewarding stimulus, are used to depict a simplified circuit between D1 receptor expressing NAc neurons and mesolimbic DA neurons. Design by Christine Liu of the Lammel lab using cookie cutters created by Crystal L. Lantz, University of Maryland Department of Biology. The neurotransmitter dopamine has long been recognized for its role in regulating mood and motivated behaviors. On the other side of the coin, maladaptive dopamine circuitry has been implicated in addiction and other neuropsychiatric disorders. There is a general conception that more dopamine is better. Psychiatric drugs that target dopamine block dopamine reuptake transporters, causing higher concentrations of dopamine to accumulate in the brain. Through in depth studies of dopamine circuitry, Berkeley Neuroscience faculty have been challenging the conception that more dopamine is better. In a study published this month in Neuron, the Lammel Lab investigated mesolimbic dopamine neurons during motivated behaviors. They discovered that there are actually different dopamine cell sub-populations that are embedded into different sub-circuits. Moreover, these different sub-circuits produced opposing behaviors. Stimulation of one sub-circuit resulted in reward seeking, while stimulation of the other sub-circuit caused general behavioral inhibition. This discovery provides a new perspective on dopamine circuitry that will guide future treatment strategies for addiction and other neuropsychiatric disorders. First author and Postdoctoral Scholar Hongbin Yang helps us understand the importance of this research discovery. Georgeann Sack: What do you think was the most interesting outcome of this study? Hongbin Yang: Previous research has conceptualized a circuit mechanism by which mesolimbic dopamine neurons are disinhibited in order to encode appetitive behavior. As shown in the video below, stimulating a specific dopamine subcircuit promotes reward-related behavior that can be measured using a real-time place preference assay. However, our research shows that the mesolimbic circuitry is more complex than previously imagined and some dopamine neurons are inhibited while others are disinhibited. Activating these distinct dopamine subcircuits has very different consequences on motivated behaviors. GS: What previous research inspired your own? HY: Earlier work on GABA-B receptor signaling in the mesolimbic pathway was a critical foundation and very inspirational for our study. In this regard it is in particular important to mention previous work from the Bonci Lab (NIH) and the Williams Lab (Vollum Institute). GS: How will this research advance our knowledge of how the brain works, and why is that important? HY: In order for a species to survive in a changing environment the brain needs to constantly coordinate between positive and negative environmental stimuli (e.g., stimuli that promote pleasure or pain). If we understand the underlying circuitry and the neural code that mediates this decision process, we can ultimately develop better treatment strategies for addiction and other neuropsychiatric disorders where dysfunction of the neural systems underlying motivated behaviors have been strongly implicated. Read the research article in Neuron, “Nucleus Accumbens Subnuclei Regulate Motivated Behavior via Direct Inhibition and Disinhibition of VTA Dopamine Subpopulations,” by Hongbin Yang, Johannes W. de Jong, YeEun Tak, James Peck, Helen S. Bateup, and Stephan Lammel (January 2018). Read the preview in Neuron, “Spiraling Connectivity of NAc-VTA Circuitry,” by Marco Pignatelli and Antonello Bonci (January 2018).